Breckland (or The Brecks) as a landscape region is an unusual natural habitat of England. It comprises the gorse-covered sandy heath that lies mostly in the south of the county of Norfolk but also in the north of Suffolk. ... The Brecks are one of the driest places in England. 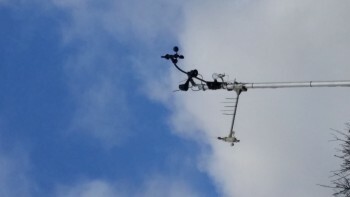 IS there another way to mount the OS anemometer on to a 40mm pole other than attatching a smaller pole, i think the u-bolts are 30mm? I guess it's pretty safe. With the serial comm protocol and checksum system I doubt you can actually get wrong values in the data, if there's a problem I think it will be garbage data that the ISS will reject. Big assumption that the ISS actually checks checksums? Yes I have had doves sitting on my anemometer on a couple of occasions, but usually on calm days so not a problem for data as such, and nothing broke thankfully. I just had to check for poop in the rain bucket after!! Just one of those things.